All members and visitor alike are expected to familiarise themselves with the range rules for the WCSU Shooting Facility so as to ensure a safe environment for all shooters (please talk to the MSA Range Officer on duty for any assistance you may need). KEEP IT SAFE! 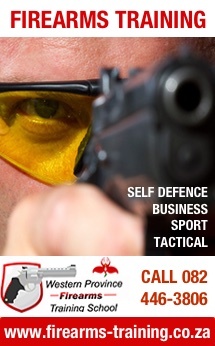 YOU MAY ONLY HANDLE A FIREARM ON THE SHOOTING COMPLEX UNDER THE DIRECT CONTROL OF AN APPOINTED RANGE OFFICER. NO FIREARMS MAY BE HANDLED ANYWHERE ELSE AND THIS INCLUDES THE CAR PARK! NO EXCEPTIONS! BE WARNED! 1. Pointing firearms in unsafe directions when loading and un-loading firearms. 2. Incorrect loading and un-loading procedures. 3. Pointing firearms in unsafe directions when attending to malfunctions. 4. Incorrect grip on handguns with a danger of slide and hammer bite. 5. Sweeping the muzzle of loaded or un-loaded firearms with hands and other parts of the body. 6. Unbagging firearms behind the firing line and swinging the muzzle though the line of shooters. 7. Handling of firearms and equipment on the bench when the range is safe and people are forward. 8. Disregard for the RED LINE when the range is safe. 9. Loading and unloading of firearms in the car park instead of under the Range Officer’s supervision. 10. Discharging firearms after the command “Cease Fire” has been given. THIS RED LINE BELONGS TO THE RANGE OFFICER ON DUTY! PLEASE READ THE ABOVE POINTS CAREFULLY AND HELP YOUR FELLOW SHOOTERS FEEL SAFE AND AT EASE ON OUR RANGES! The RO shoots for the year are held on Sat quarterly. There are usually about 20 or so participants and everyone has a great time. The standard 25 round shoot with dummy round malfunctions and mag changes has proved to be a winner and is adopted as the standard RO shoot for every event. The the second part of the shoot is the 3 gun event. Shotgun, Self-Loading Rifle and Handgun. Scores are available to RO’s after the shoots. The 2017 RO Roster is available to all RO’s. We are going to need every RO to do 3 duties per year to accommodate the continued safe running of our ranges. There will be 3 RO’s on duty from February 2017. Shooting on Saturdays in the afternoons after 14h00 is becoming more popular with visitors and members. We are going to have to accommodate this in the future. It is up to the duty RO’s to decide who would like to stay until 16h00 on the day between themselves. The necessity for a Saturday afternoon Duty RO is becoming more apparent. RO’s will now be running club competitions to free up the excom for admin and scoring and so on. We have a number of volunteers for this purpose already. RO’s will still be able to compete in their events on the day by swopping around with colleagues between ranges.